Software Suite, Advanced Capabilities for Custom Material Development - Your business, your research, your products hold the power to transform industries. To change the future of medicine or the nature of manufacturing, to pioneer groundbreaking discoveries and deliver products unlike any other into consumers’ hands. 3D printing helps you get there faster and more cheaply than ever before. But only if you have the right materials for the job. Meet B9Captivate. Paired with the B9 Core Series, this material development toolkit optimize for both the properties and performance and the geometry of your part – so you can develop settings perfectly engineered for your application. And you don’t have to be a chemist to get it right. B9Captivate comes with a comprehensive help center database, minimum and maximum values that prevent settings that could damage your printer, and auto-fills any values you leave blank with those of a standard prototyping resin. With version control and a breadth of material fields, B9Captivate users can adjust curing properties like z-bleed and exposure, and cycle factors that control how your machine moves as the material prints. 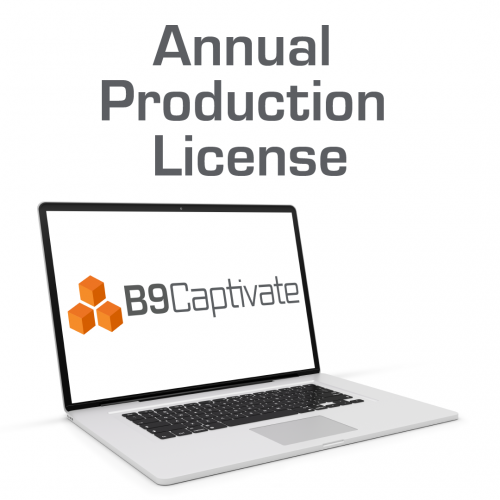 This annual production license allows you to keep using the materials you created using your B9Captivate Professional Developer License on your printer even after your developer license expires. 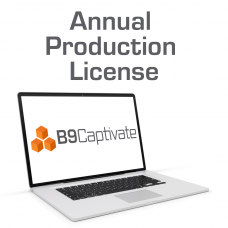 B9Captivate Professional allows you to create custom materials on your Core Series, with access to exposure, mechanical cycle settings, version control, and optimization. To learn more about the B9Captivate Enterprise version, contact info@b9c.com or visit b9c.com/software.